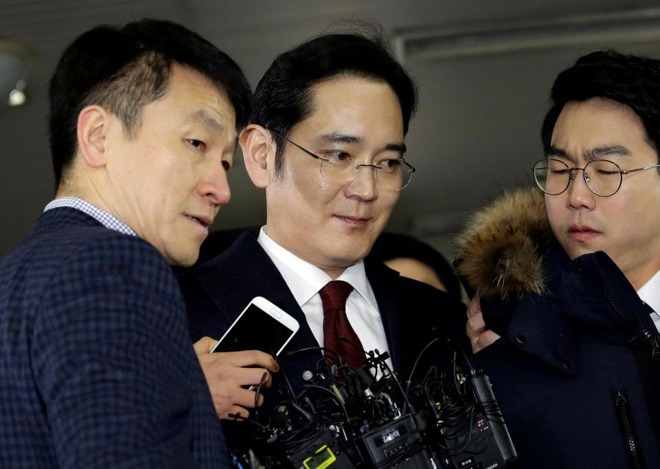 South Korea prosecutors on Tuesday indicted the acting head of the Samsung Group —Jay Y. Lee —for bribery and embezzlement, leveling similar charges at four other executives as well in the influence scandal surrounding Korean President Park Geun-hye and her friend, Choi Soon-sil. Park, Choi, Lee, and the Samsung Group have all denied any wrongdoing. Lee could potentially face up to 20 years in prison, but one factor that might aid his position is that Park's impeachment was based on accusations that she and Choi pressured businesses —including Samsung —to donate to foundations set up to support her policies. Going forward, the CEOs and boards of affiliates —including Apple rival Samsung Electronics —will be able to steer their own companies, Samsung said. The company is also separating itself from the Korean Equestrian Federation, since the bribery charges include sponsorshop of the equestrian career of Choi's daughter.